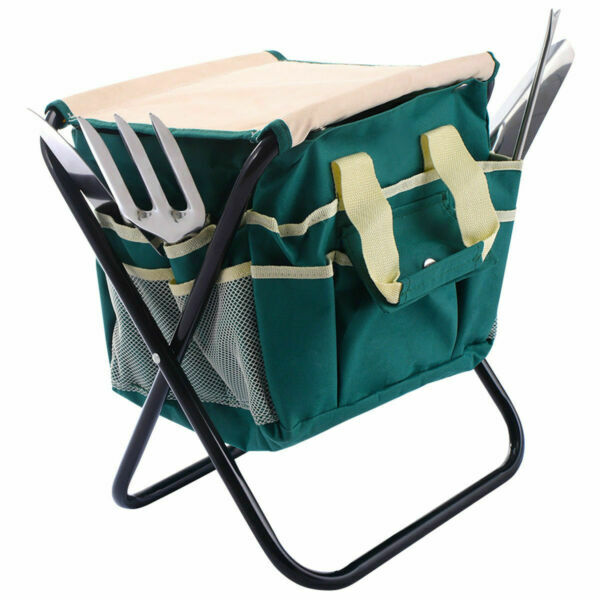 Our 7 pieces garden tool bag will be a good choice for the people who are keen on gardening. The Tools Are Small Sized For Use In Window Boxes Potted Plants, Or Anytime A More Delicate Touch Is Needed. Gardening just got more relaxing with this gardening tool set. It includes 5 tools, 1 stools and 1 bag for storing all the tools. Rake, trowel, and spade are stainless steel with wooden handles, the tools are good quality and can serve your for long time. It's Really a Great Gift For Your Favorite Friend Who Loves Their Garden. Do not hesitate to buy one!